Several styles available to chose from. Read more below! 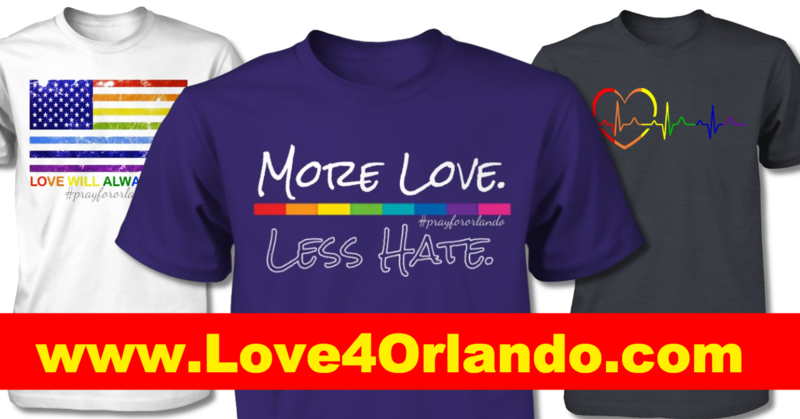 Profits from this campaign will go towards Orlando victims and their families. In recognition of at least 50 people were killed and 53 injured at Pulse a LGBT nightclub in Orlando, the worst mass shooting in U.S. history. We are working with The LGBT Center of Central Florida to ensure funds are distributed correctly. We thank everyone for their prayers and contribution to this cause.